Among vulnerable road users, there is a distinction between injuries caused by impact with the vehicle and those caused by subsequently falling onto the ground. A recent study sought to determine the source of pedestrians' and cyclists' head injuries during collisions with a vehicle. The case review involved 205 accidents reported in the UK On-The-Spot database involving pedestrians or cyclists with head injuries. Of these, contact with the road was responsible in 110 cases (54%) and the vehicle in 95 cases (46%). Impact with a vehicle was associated with a majority of the more serious injuries, while head impacts with the road were more numerous but less severe. Pedestrians and cyclists most often collided with a passenger car (81%); the remaining collisions involved light goods vehicles, buses, heavy goods vehicles, motorcycles, and a trolley car. In cases where head injury resulted from impact with vehicle, the windshield glass was the most common area of impact for both pedestrian and cyclists. The data also revealed insights into the demographics of pedestrians and cyclists injured during collisions. 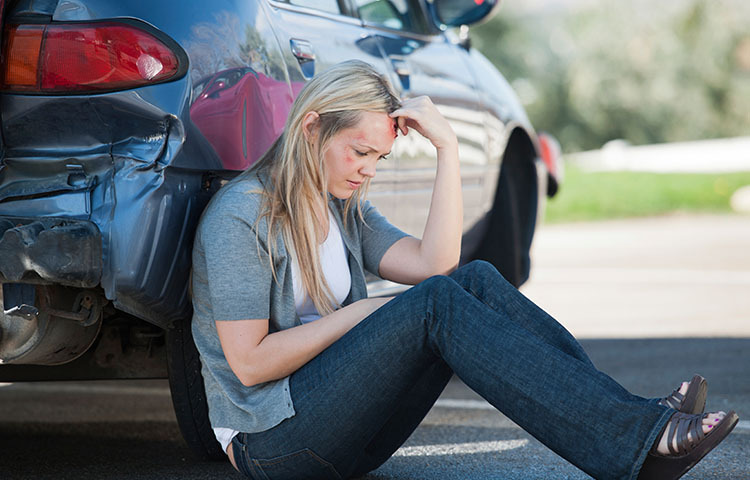 When known, males accounted for 61% of injured pedestrians and 80% of injured cyclists. The median age of pedestrians and cyclists was 23 and 26 years, respectively. This research comes just weeks after another new study found that car crashes are the source of 77% of cycling fatalities. Understanding crashed-related cycling injuries could help in developing appropriate preventive measures. Such measures should include efforts to improve road infrastructure and require bikers to wear helmets. Enhancing road infrastructure and enforcing laws requiring cyclists to wear helmets requirements reduced cycling-related head injuries by 50% in Australia. Badea-Romero A, Lenard J. Source of head injury for pedestrians and pedal cyclists: Striking vehicle or road? Accident Analysis & Prevention 2012; S0001-4575(12)00339-9. doi: 10.1016/j.aap.2012.09.024.